A businessman has been found not guilty of murdering his wife who disappeared 10 years ago. 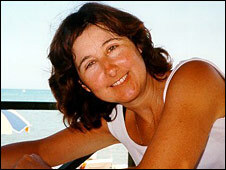 Prosecutors alleged Martin Hale killed Maureen, 42, during a row at their home in Thames Ditton, on the London-Surrey border. Her body has never been found. Mr Hale, 51, told Kingston Crown Court he had thought about killing his wife "when I was very depressed". But Mr Hale, who ran his own grocery business, denied murder, saying his wife walked out on him in June 1999. Prosecutors claimed Mr Hale killed the mother-of-five, who had filed for divorce, following an argument at their home. Two of the couple's sons, Oliver and Tristam, had defended their father in court, describing him as "loving and caring". Speaking outside the courtroom after the verdict, Mr Hale said: "I would like to thank my legal team for all the hard work they have put in, it has been quite traumatic." He said the verdict "put some closure" on the incident, but added: "It is not the final closure, there are still unanswered questions, hopefully there will be a conclusion to it." Asked if he was worried whether suspicion would still hang over him despite the not guilty verdict, Mr Hale said: "I have nothing more to say." His 22-year-old son Oliver appealed for privacy following the decision and said: "The family at this time would like to thank all the kind support that has been given to us and our father in the past nine years during my mother's disappearance." During the trial, Crispin Aylett QC, prosecuting, told jurors Mr Hale's story that his wife had walked out was odd because she had left her handbag behind, had not arranged to meet anyone and her car was left on the drive. The court heard that the marriage was not a happy one, with Mrs Hale complaining her husband was a workaholic who drank too much. The court heard that in August 1998 the defendant found out his wife had gone out with an old friend of his. Mr Hale reacted by punching her in the head, leaving her with bruises, a bloody nose and thick lip, the court heard. The jury was told that by Easter 1999 Mrs Hale had begun divorce proceedings, but her husband indicated he would contest them. But Mr Hale wept as he told the jury he tried to salvage his marriage of 16 years. While living with his two aunts in Kingston, a period Mr Hale described as "very depressing", he wrote a note which, the prosecution alleged, detailed four ways to dispose of a body. When asked to explain the piece of paper found in his briefcase, Mr Hale described them as "crazy things" written while he was in "complete turmoil".